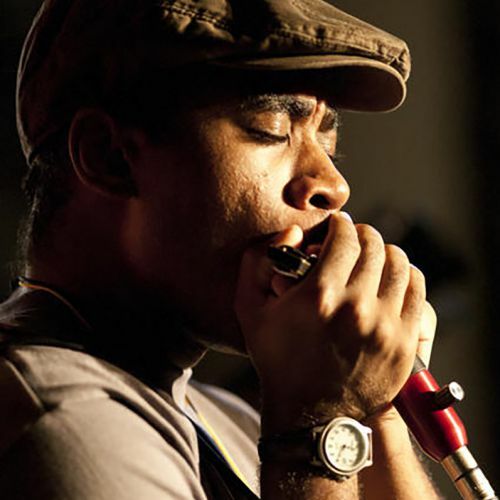 When his grandmother told him that his great-grandfather used to play train songs on the blues harp, Brandon O. Bailey discovered that playing harmonica is in his DNA. Rising through the ranks of young players, in 2008 he triumphed over several hundred contestants to win the Orpheum Star Search in his home town of Memphis, Tennessee, bringing down the house with a performance of J. Geils Band’s harmonica showpiece Whammer Jammer. Since that breakout performance, Brandon—who’s still in his teens—has played with some of the best harmonica players and bands in the country including Adam Gussow of Satan and Adam, Jason Ricci and New Blood, Billy Gibson, Charlie Wood, and Blind Mississippi Morris. He has performed at B.B. King’s Blues Club in Memphis, The Rum Boogie Cafe, The Orpheum Theater in Memphis, the Arkansas Blues and Heritage Festival, The Mid-South Fair, and the Jefferson Awards in Washington D.C, and has been featured in Living Blues Magazine and interviewed by Linda Wertheimer on NPR’s Weekend Edition. Adapting the post modern harp-boxing style made famous by Son of Dave—blues riffs intertwined with beat-box rhythms—his recently released debut album, Memphis Grooves, rose to #1 on both the U.S. iTunes and Amazon blues music charts. Brandon O. Bailey has put the harmonica world on notice: there’s a new kid on the block.